If you have taken money from me, you must pay it back – is the age-old system that is prevalent, ever since money replaced commodity exchange. Jews were the foremost lenders of the world and the story of Shylock is known even to kids. In our country, the great Charvak philosophy declared: Rinam kritva ghritam pibet, yavat jivet sukham jivet – take loan to drink ghee and live in bliss as long as you live. Similarly, in recent times stories of Kabuliwalas are well known. So also are of other money lenders who made it their regular avocation. With the hire purchase system and easy bank loans for entrepreneurs becoming quite common, the number and dimension of lenders and creditors went up many times. Private lending, though still relevant is steadily being replaced by institutional lending and recovery. In modern times, both private and commercial lending and its recovery have become one of the main instruments of growth, but the multiplicity of authorities and laws to resolve the disputes are a major roadblock. Bad debts and Non-Performing Assets of lending institutions restrict the availability of credit to businesses, hampering economic growth and productivity. In a report by the world bank released in 2016 India ranked 130 overall and 136 in resolving insolvency, out of 189 countries. Last year, India’s latest insolvency and bankruptcy code was passed by the Parliament. It is one of the most comprehensive pieces of legislation covering all aspect of this major economic issue. It covers all entities in both the categories of debtors and creditors. It has an equitable approach aimed at resolving the age-old problem where one has the liability to pay but is unable to do so, as well as that of the lender who rightfully wants the money back. This code reorganizes and balances the interests of all stakeholders, and seeks to resolve the issues in a time bound framework, while paving the way for credit availability without impinging on entrepreneurship. It also seeks to establish norms for asset valuation of debtors in a just manner. One of the main features of the Code is that it allows creditors to assess the viability of a debtor as a business decision, and agree upon a plan for its revival or a speedy liquidation. For example, prior to this code it took more than four years to resolve bankruptcy in India. The code will reduce this to less than one year. The most valuable part of this code is the consolidation of all other laws in this field including those covering Limited Liability Partnerships and individuals as well as streamlining the processes of resolution of the discord. It seeks to avoid the multiplicity of laws and regulations and consolidates the entire process through a single legislation. The Insolvency Code in India creates a new institutional framework, consisting of a regulator, insolvency professionals, information utilities and adjudicatory mechanisms, that will facilitate a formal and time bound insolvency resolution process and liquidation. This unique piece of legislation is probably the finest in the world, not that many countries have these sorts of codes. In Europe, Poland has a comprehensive piece of law which was recently revamped. 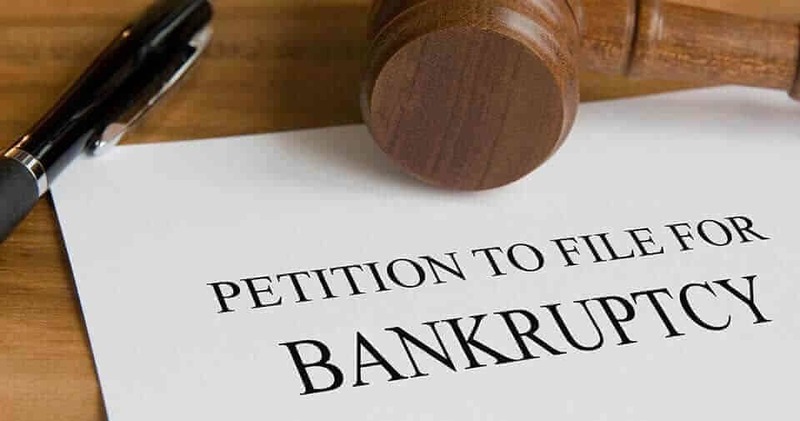 It covers all insolvency proceedings including bankruptcy proceedings and can be initiated, like in India, by either the creditor or the debtor. But unlike India, where there are specific courts to resolve these matters, in Poland it is the district court that deals with it. Another distinctive feature in the Polish law is that companies can preemptively file such proceedings apprehending bankruptcy. They can also initiate certain rehabilitation proceedings through the court. The decision of the court is published in District Commercial Gazette. United Kingdom, for example, does not have a single bankruptcy law applicable to its territory. England and Wales have different laws and so does Scotland as well as Northern Ireland. Now with Brexit, the situation in Europe is going to be more complicated. One very interesting facet of the current UK law is that bankruptcy is reserved for individuals and is not utilized for corporations. Canada more or less follows the same pattern. In USA, the bankruptcy legislation outlines debts that are exempt from a debtor’s bankruptcy estate and debts are not dischargeable. It is also the same in Australia. Recently, China has enacted an Enterprise Bankruptcy Law which provides increased protection to both corporations and lenders. It includes a reorganization provision that permits failing corporations to restructure their businesses. The European Union stands on a separate footing as of now. More and more companies and individuals are establishing their business activities in member-countries other than their own. Their insolvency creates problems across the borders. To mitigate these problems, the European Commission set up an Experts Group to assist the European Commission prepare a legislative proposal to harmonize restructuring an insolvency law. In July 2016 a conference was also held in Brussels to concretise the issues further. A common law of the EU is yet to be codified. In several other countries, there is a system to benefit struggling businesses. Many also feel that there should a system for bankruptcy resolution to protect individuals as well. As for India, this new legislation may help resolve the nation’s bad debt problem which hampers bank lending. It should also encourage foreign investment and well as promote entrepreneurship, as businesses and entrepreneurs can exit businesses faster and with fewer legal hassles. These may also result in an improvement in India’s international ranking is ease of doing business. H2 Life Foundation is organising a one day conference on “The Insolvency and Bankruptcy Code, 2016: Achievements, Challenges and the Way Forward”. The session will commence at 10:00 am on Saturday, April 15, 2017, at Gulmohar, India Habitat Centre, Lodhi Road, New Delhi.